Flex Academies is committed to providing safe, high quality enrichment programs for the students and the schools we serve. We believe that working together with our provider partners we can deliver the highest levels of program quality that our customers can rely on. 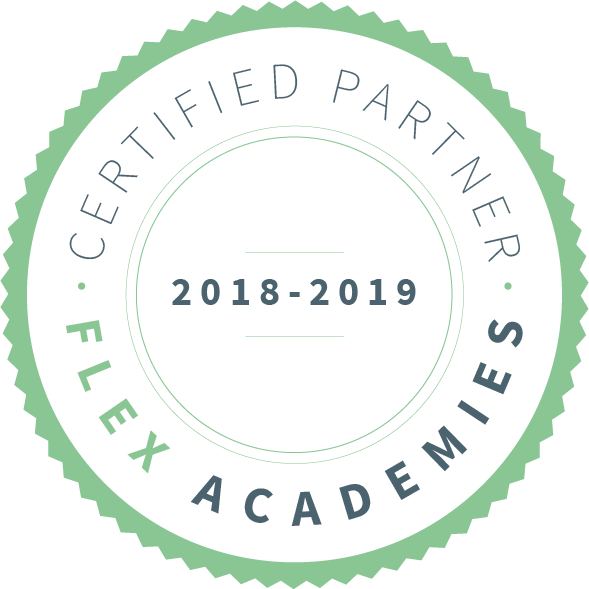 In order to be accepted as a “Flex Academies Certified Provider” in 2018-19, our provider partners must meet the following set of Flex Quality Standards throughout their contract with Flex Academies. Providers provide high-quality and engaging classes that are fun and enriching for participants of all levels. Children are supervised at all times, including arrival and departure. Providers arrive on time and prepared to teach and engage students as soon as class starts. Providers staff encourages children to take initiative, make choices, be responsible, and take on challenging tasks and activities. Provider staff members are subject to thorough background checks. Providers are required to provide proof of appropriate insurance. The provider makes reasonable accommodations to the program and schedule so that children with special needs may participate. The provider supports opportunities for family involvement by providing Flex with weekly class reports to be shared with families. Provider administration and instructors communicate quickly and appropriately with Flex staff (including On Site Coordinators) regarding absences, injuries or other issues.